What is T-Pain without the Auto-Tune? What is life even? I don’t know, but I could live in a life without T-Pain’s Auto-Tune forever. 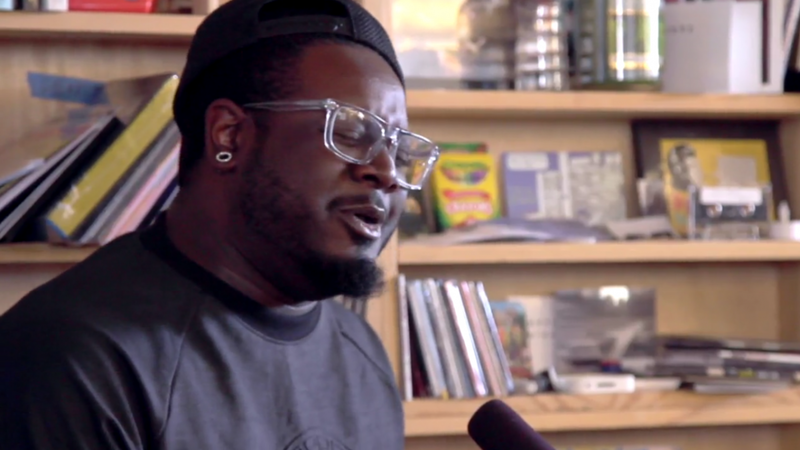 On Wednesday, T-Pain played an NPR Tiny Desk Concert with just a keyboardist, and many were shocked at his stripped-down vocals. T played his most famous songs, like “Buy You A Drank” and “Up Down (Do This All Day),” but he did it without all the production, sitting on a stool next to, well, a tiny desk. And if you’re surprised by how impressive his singing is, you’re not the only one. Fans went berserk over the clip, and tweeted their awe. You could say that it was the revelation of the millennium. T-Pain will be releasing a greatest hits album called T-Pain Presents Happy Hour: The Greatest Hits on Tuesday.